We are about to get our hands dirty with planting season right around the corner. 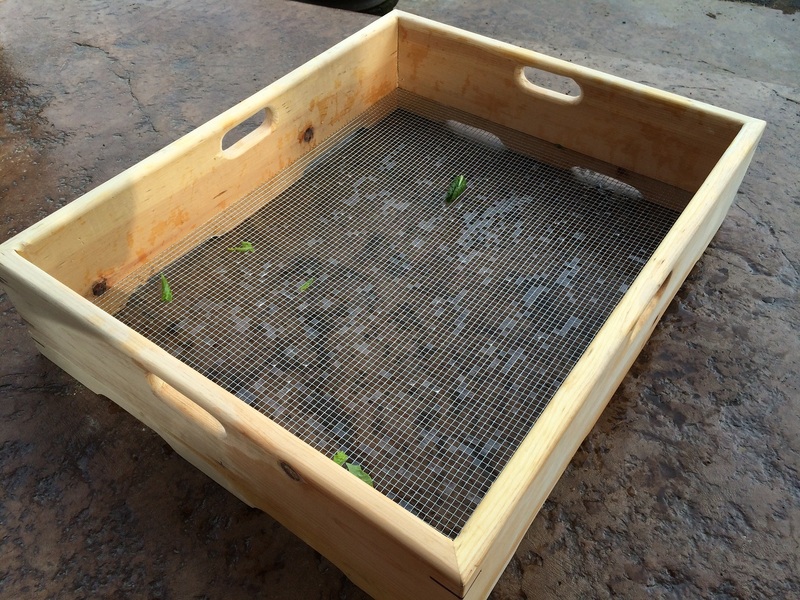 Why not take the time now to build these DIY garden tools I love – an outdoor garden sink and garden colander. These tools have saved me so much time and have eased the process of harvest and cleaning. A few years back I started thinking about how helpful it would be to have an outdoor sink to clean garden produce in. Bugs and grit belong outside, right? Sounded like a dream. Pretty soon conversations at the dinner table about an outdoor garden sink became a regular occurrence. When a friend cleaned out his garage and gave us an old laundry basin he never used, inspiration struck and my dream came true. The outdoor sink gets used throughout gardening season once and sometimes twice a day. It works awesome as a potting table too. As suspected, it is super helpful. I can’t imagine gardening without it. It makes the transition from garden to table so much easier. 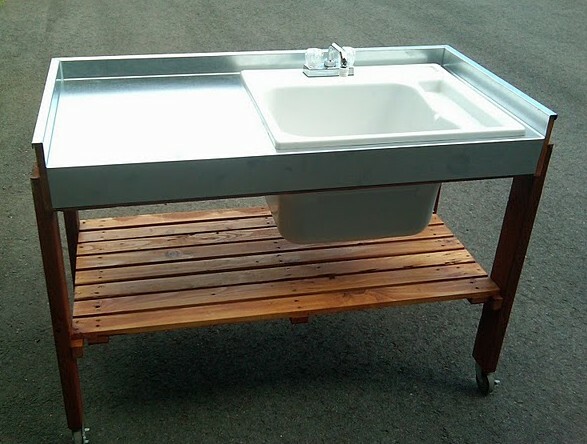 Get all the scoop (materials list and free plans) about building an outdoor garden sink here. 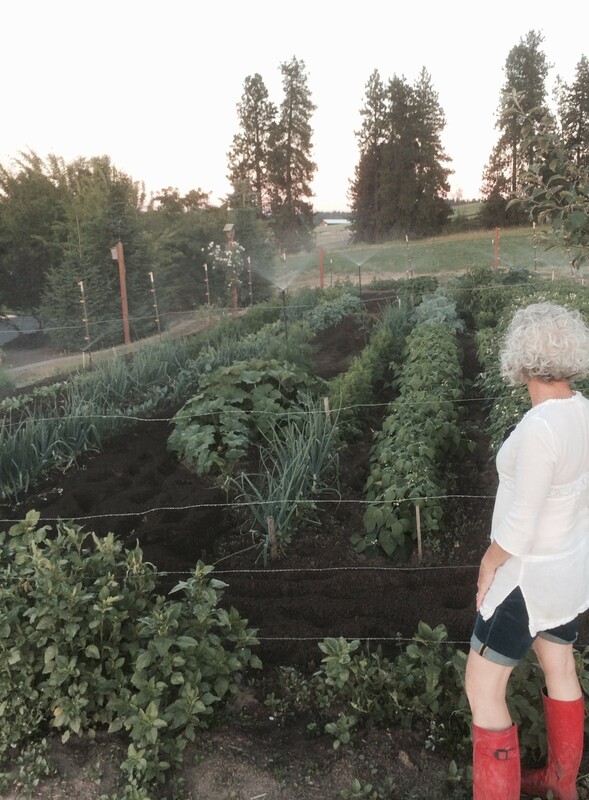 Using your garden hose to provide plumbing makes it so simple. The depth of the sink functions so well for the volume of leafy greens we grow. You know how they have many itsy bitsy bugs and dirt on them? They get a few rinses in this old laundry basin-turned garden sink, and they are so clean! Love it! 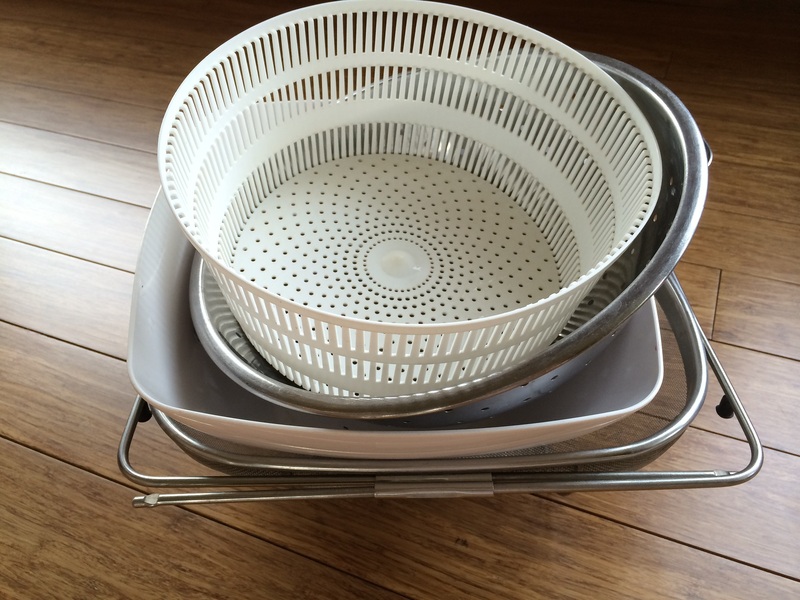 Immediately following this invention – I realized what was also needed was a big garden colander. The multiple containers being brought outside to contain the volume of cleaned produce just wasn’t cutting it. I expressed this need to the hubs and he turned out 2 of these beauties. One was great but two is even better, using one to harvest and one for the cleaned veggies to drain in. 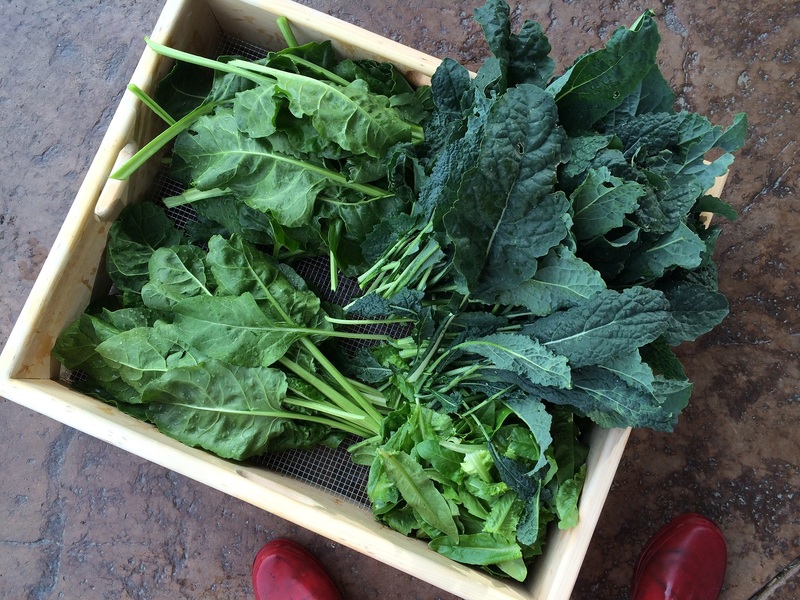 After cleaning garden produce in the outdoor sink, the colander is shallow enough to allow for excellent drainage. He gave it some “legs” to help in the draining process as well. You don’t own an outdoor garden sink? This can be helpful in rinsing your fresh veggies with the garden hose, leaving dirt and critters behind. 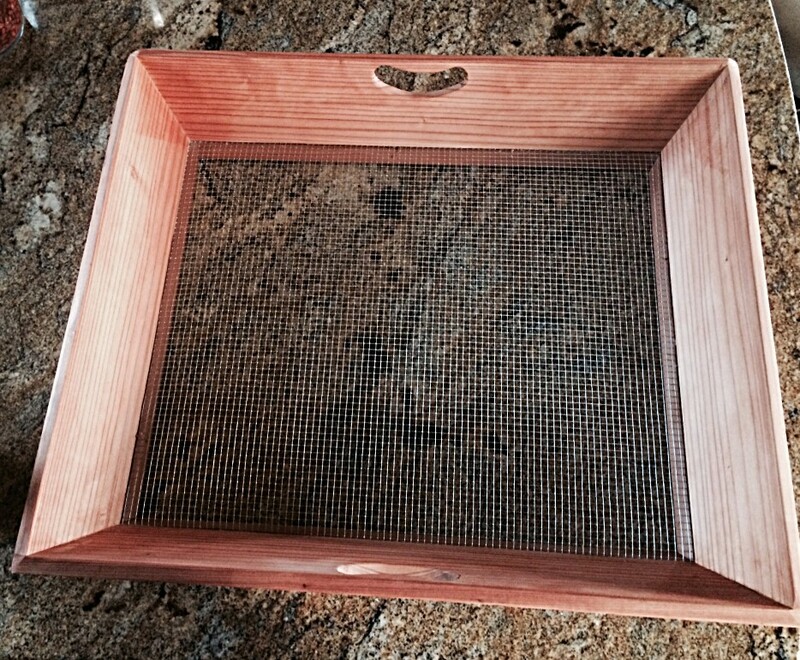 Checkout his materials list here if you’re chomping at the bit to make this outdoor colander. Our seeds are ordered, the garden is tilled and we even have our organic seed potatoes. 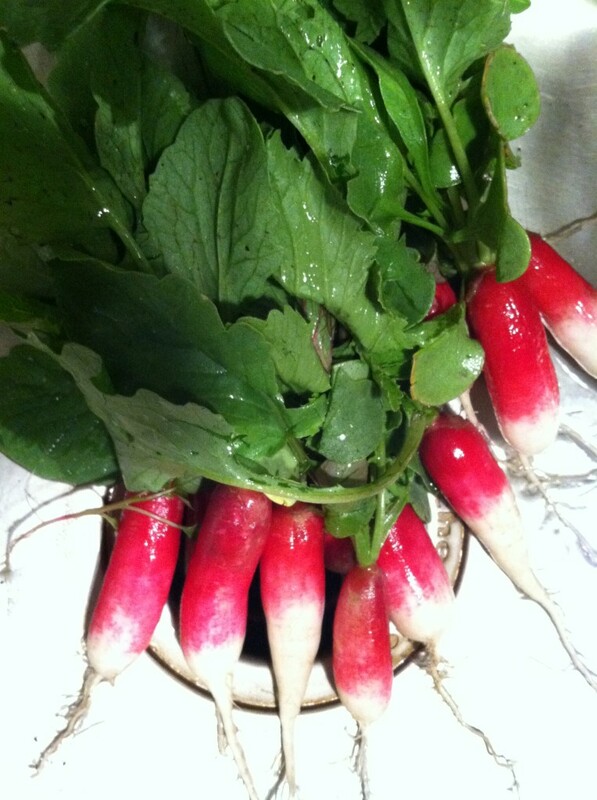 If you’re curious about what we grow for our location here are our fave’s- buttercup squash, mizuna mustard greens, kale, assorted lettuces, green beans, pickling cukes, summer squashes, onions, potatoes, carrots, kohlrabi, cabbages, collard greens, chard, radishes, tomatoes, arugula, beets (gold and red), and burdock root. Can you see why these tools make life with a vegetable garden just a bit easier? We have a month before planting. That’s just enough time to get these DIY’s done and ready for production.